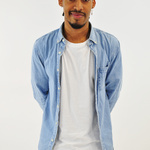 A GOLD award winning radio producer, DJ and performer and BSc Audio and Music Technology Graduate. I produce and host a radio show in which won the award for Best Specialist Music...Read moreA GOLD award winning radio producer, DJ and performer and BSc Audio and Music Technology Graduate. I produce and host a radio show in which won the award for Best Specialist Music Programming at the SRA Student Radio Awards in 2014. Recent graduate of a BSc Audio & Music Technology degree. I am now seeking further experience in radio production and content creation.